There is no Illinois home school statute and no accreditation process required for non-public schools in Illinois. Such schools “may” register with the Illinois State Board of Education (ISBE) annually, but are not required by law to do so. 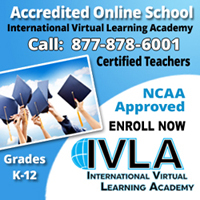 No licensing is required for non-public schools and the school “may choose” whether or not to pursue recognition as an accredited organization. Whether the concept of “non-profit or for-profit education providers” extends to legally organized and accredited online schools or accredited home-based schools is left to legal interpretation. 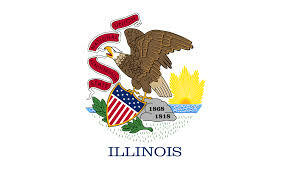 Although teachers for Illinois-recognized non-public schools do not have to be licensed or certified, beginning with the 2011-12 school year, the State does require that full-time teachers hold at least a bachelor’s degree. For those teachers who were hired prior to 2011-12 and who are not certified or do not hold at least a bachelor’s degree, Illinois requires annual participation in professional development courses directly related to their individual job requirements. For both registered and “recognized” Illinois non-public schools, the school year must be at least 176 days and include at least five hours of educational instruction a day for a total of at least 880 hours of instructional time per school year. (12 Illinois Adm. Code 425.30(a)(1)(A).) Instruction must be provided in English and include the same coursework taught in public schools in the areas of language arts; math; biological, physical and social science; fine arts and physical development; and health (105 ICLS 5/27-1).